Hear Hear for the Holiday Cheer! 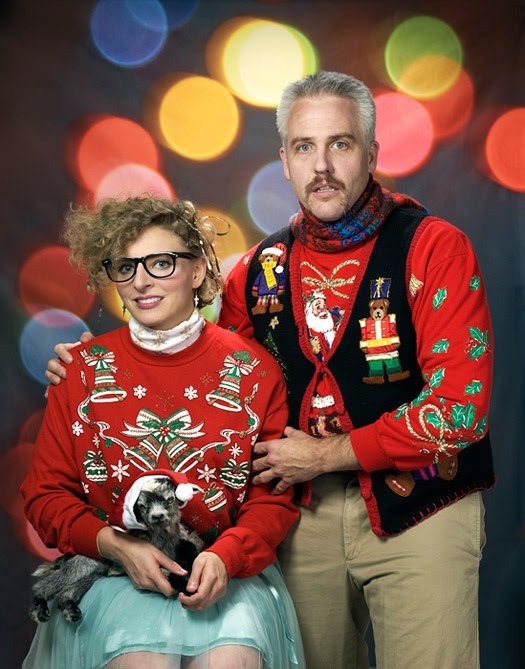 Let's take a minute to talk about Ugly Christmas Sweaters and why they are awesome. During the Holidays, it's easy to get wrapped up in all the excitement, but sometimes we forget to have any fun. At times like this, we can lose perspective on the things that are important. Gift giving is always a good idea, but if you place unrealistic pressure on yourself to buy better and better gifts, you can run into a pretty stressful situation pretty quickly. The solution: the ugly Christmas sweater. 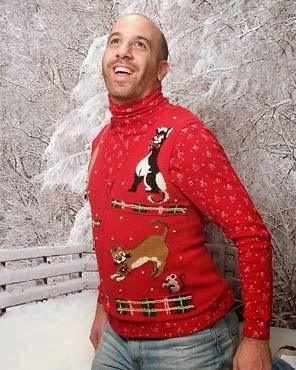 The entire reason you buy an ugly Christmas sweater is to have fun. This is the best way to deal with any underlying stress. Just relax and enjoy the moment. 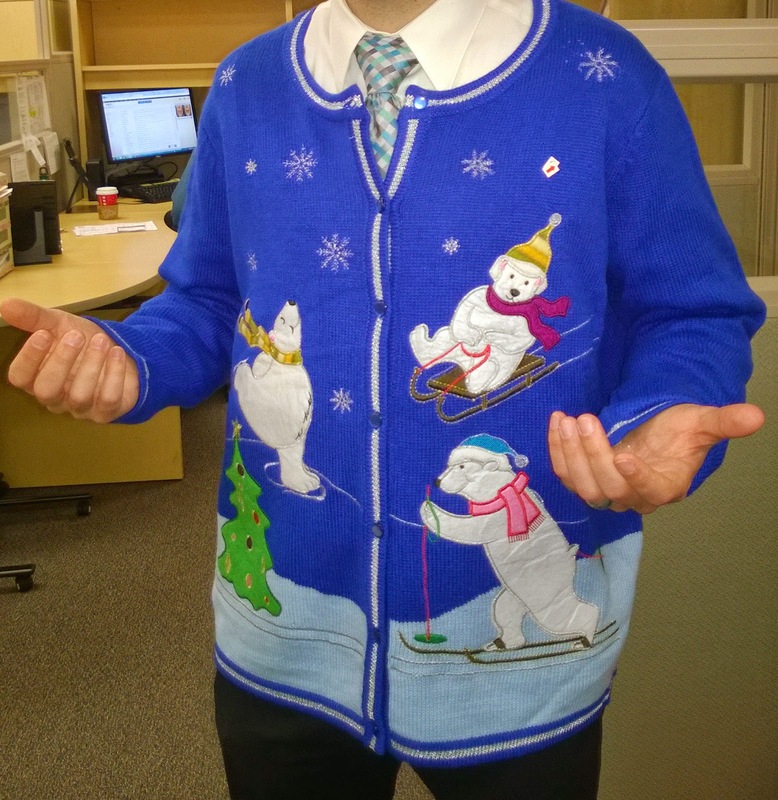 Engaging in a competition like an ugly Christmas sweater competition, is meant to be fun. The whole point to this kind of competition is to give your group something to participate in together, which is really the whole point of the season - spend time with people and enjoy yourselves. This is the most important thing - have fun with your friends, family members, and coworkers in a safe environment. 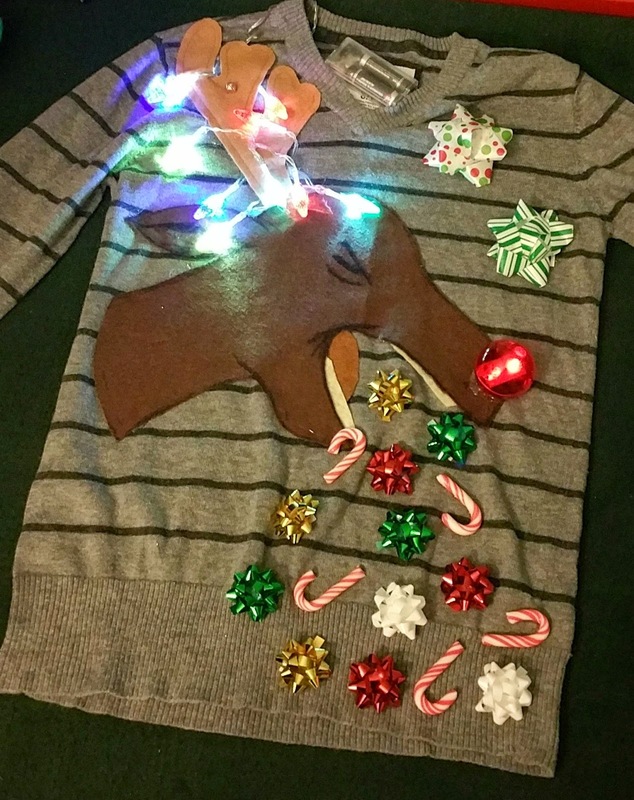 Who knows, maybe getting an ugly Christmas sweater will encourage you to learn a new skill. Try sewing, for instance. In fact, ugly sweaters are making a business of their own. Not only is sewing extremely useful, the practice you get from making an ugly Christmas sweater could go a long way towards a other hobbies. Maybe you want to get into cosplaying. Well fortunately, you know how to sew. Think of it this way, if you make a mistake on yourugly Christmas sweater, it's okay, no one will notice. In fact, if you become proficient enough at sewing, you don't really need to buy anything, you can use scraps to make your ugly Christmas sweater. Seriously, no one would notice. Wearing such an ugly Christmas sweater puts you among great company, like Colin Firth (Bridget Jones's Diary) and Chevy Chase (National Lampoon Christmas), and it continues a decades-old tradition of spreading holiday silliness and cheer. This is the kind of event that anyone will have fun with and everyone should participate in. All right! Put down the pitch forks and torches, this is an opinion! However, let me at least try and convince you while I make an argument for this choice as number one. 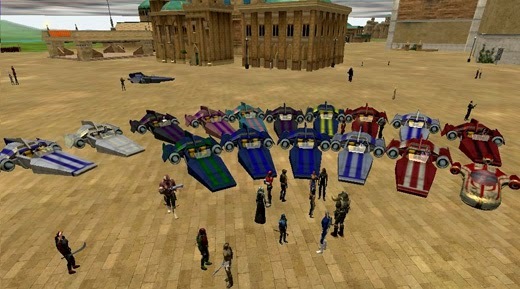 Star Wars: Galaxies was truly a one-of-a-kind video game in regards to the Star Wars brand. 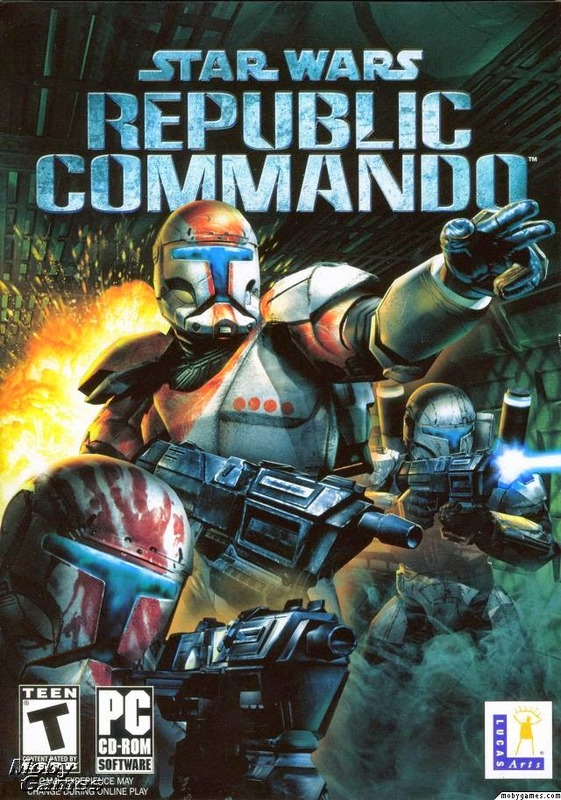 This game had all the elements in one game. 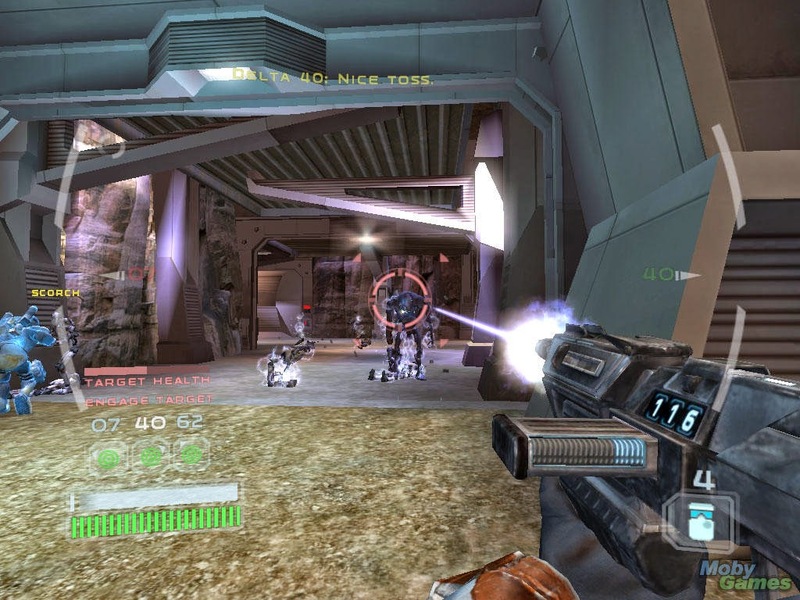 For the combat, it could be first person or third person. 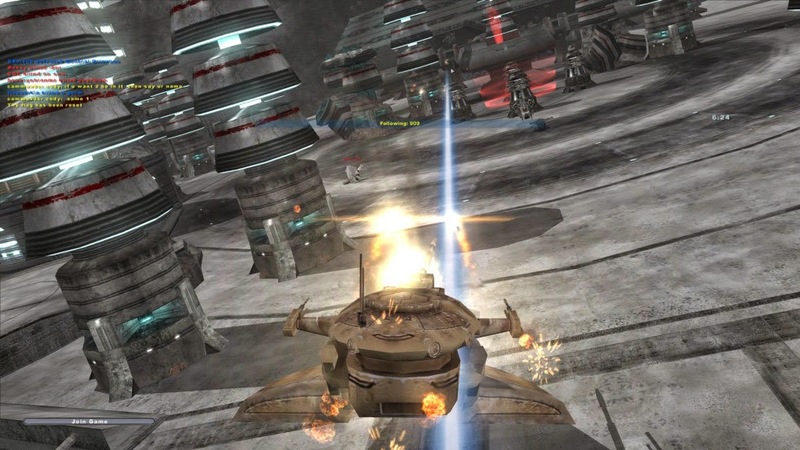 In space, the combat felt like TIE Fighter mixed with elements of an RPG – but with more types of ships to choose from, and more customization of those ships. For adventure, this game was wonderful, because you could truly choose your own. 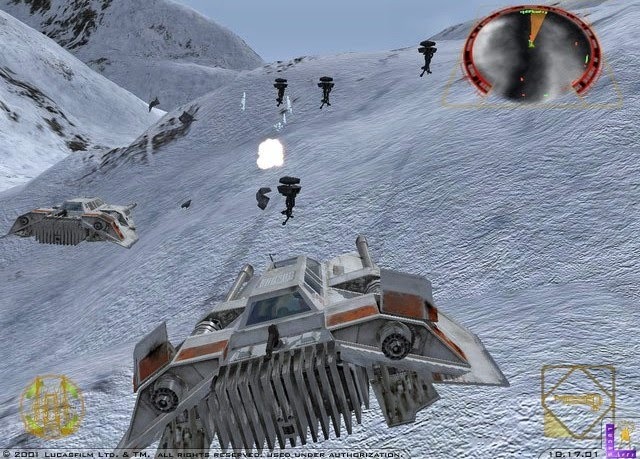 There were a million different things that a player could do in this game, action-oriented and not. A person so inclined could join the Imperial Army or the Rebel Alliance as a common soldier – helping to battle across contested worlds. You could hunt bounties and become a feared bounty hunter – and those bounties included hunting human players who got a little too big for their britches. If you’d rather go off adventuring with your buddies, there were tons of quests that ended up with challenging bosses that couldn’t be defeated by a lone player. These bosses would, of course, drop awesome loot for a player so inclined. 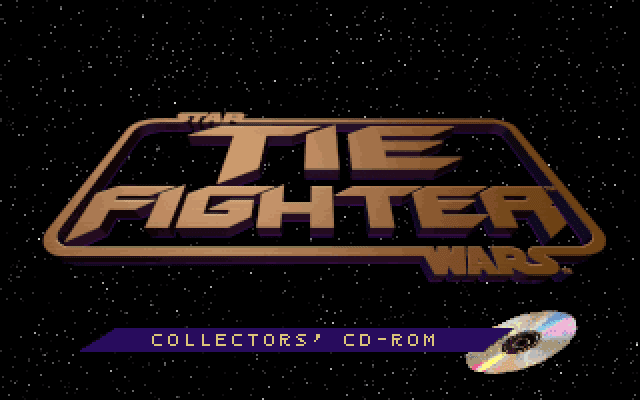 When fighting on the ground isn’t your style, or gets boring, you could join one of the galactic navies and fly your own ship. 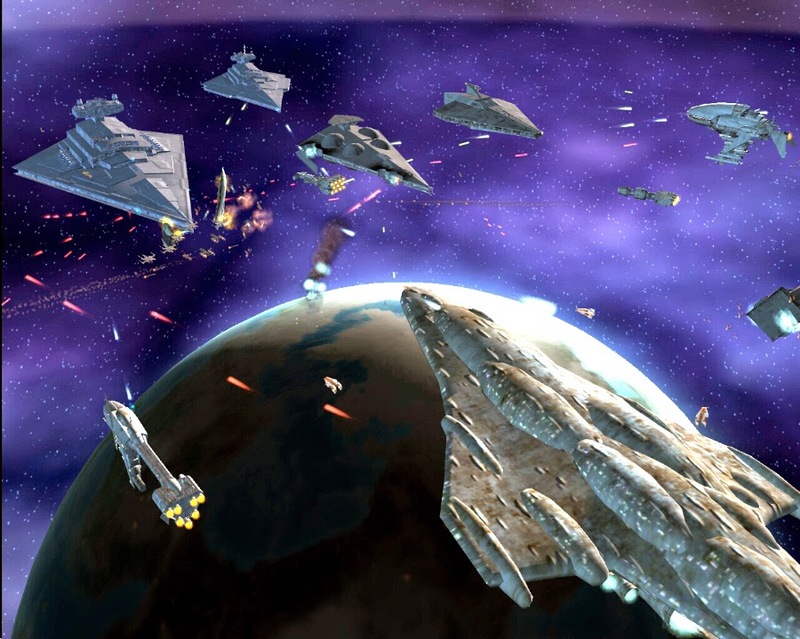 There were regular events in which large space battles took place. For a different experience, you could get a gunship and crew, and join the battle on an assault ship, just make sure all the guns are manned and that you have a competent engineer on board to fix the ship’s subsystems when you take a bad hit! 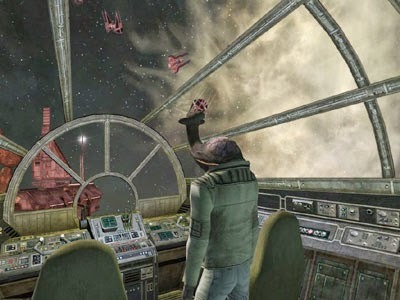 Imagine an experience where you are sitting aboard an Imperial gunship, sitting at your station while you unload on rebel fighters, watching them fall like leaves in autumn - only each of those ships is controlled by a human player! 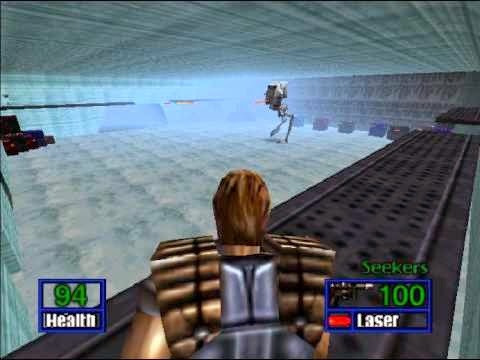 If you wanted to play a game for an experience other than combat, there were a million other things you could do. For one, you could just pick an alternate profession, and spend your days making food for hungry adventurers, among other things. Food was useful in that it provided buffs and bonuses, so some of the wealthiest people I knew in the game were chefs. Don’t want to be a chef? Try your hand at being a politician, a droid engineer, or a weapon smith. 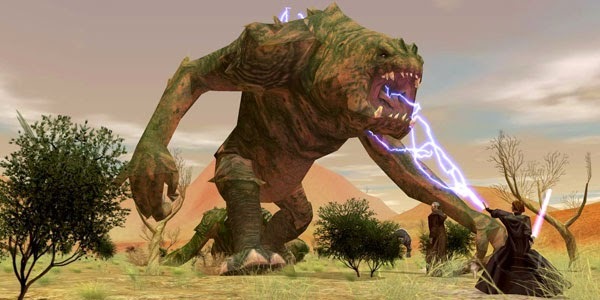 Politicians were necessary to build player cities – something this game supported. Yes, there were entire colonies built by players – with roads, stores, police forces, and regular elections. Some of the people involved in the infrastructure of these towns made their entire living governing these cities. There were players who owned their own cantinas. Some of these players became ludicrously wealthy by symbiotic arrangements with all the artisans in their area, making that cantina owner a merchant mogul. 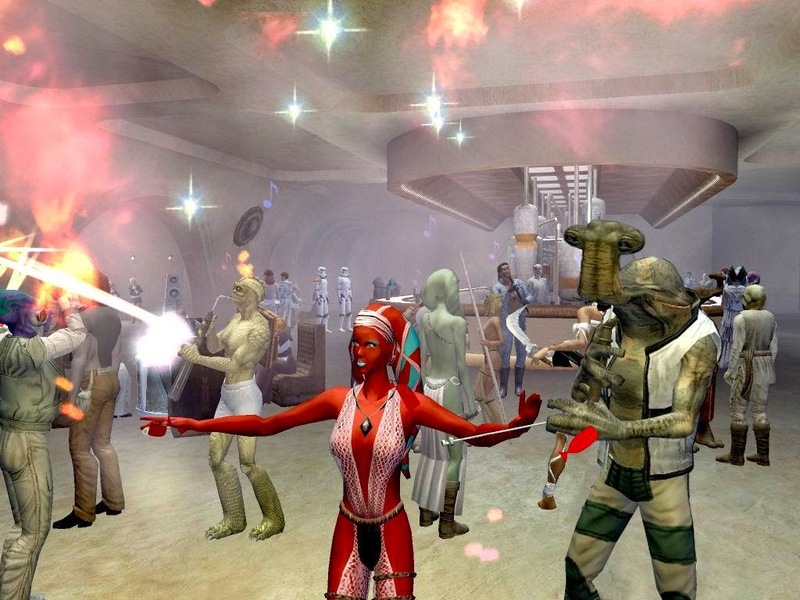 Perhaps you want to do something a little more entrepreneurial like the cantina owner mentioned above? 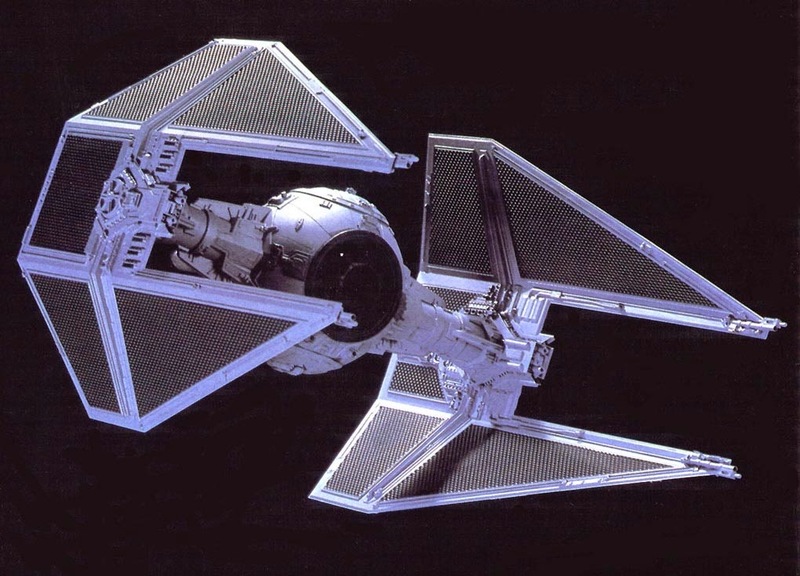 Why not start your own surveyor business where you mine the finest resources for the artisans of the galaxy. You could spend your days mining on the ground with surveying equipment, or you could hire a crew, buy a mining ship, and fly through space mining asteroids (beware the pirates coming to steal your cargo!). Mining was actually a tricky profession, because the resources were not infinite, and would rotate regularly. This made buying in bulk usually a wise investment. Speaking of buying in bulk, some players became merchants and had businesses as wholesalers, buying resources or items in bulk from suppliers and parceling these items out to the customers for a profit. People could hold those goods until the market changed, or buy enough of the goods to corner the market and affect the price point, making themselves quite wealthy. A person with sufficient time and energy could do the market research and choose the best time to sell their bulk items at a premium. Players could build entire enterprises around this type of business – a business that ultimately needed multiple holdings on multiple worlds. In some cases, needing their own security forces to prevent thieves and robbers from taking whatever they wished and destroying their commercial assets. Many other things were possible in this game. 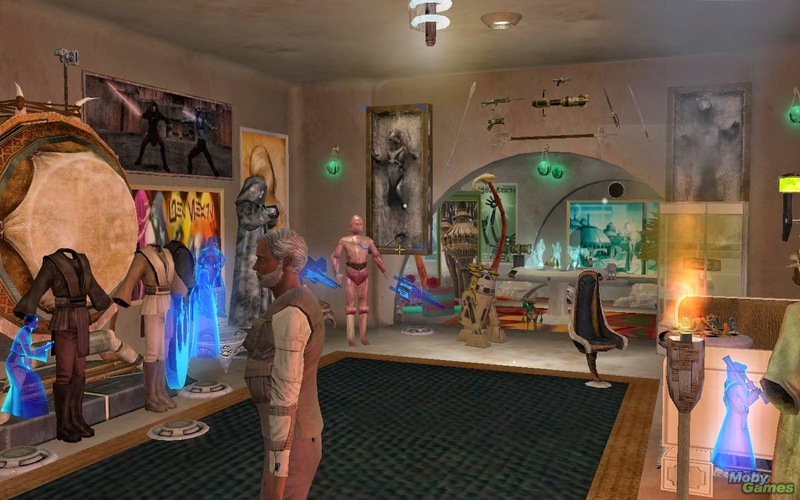 Players would pay other players to decorate their houses… yes, Star Wars interior decorators. 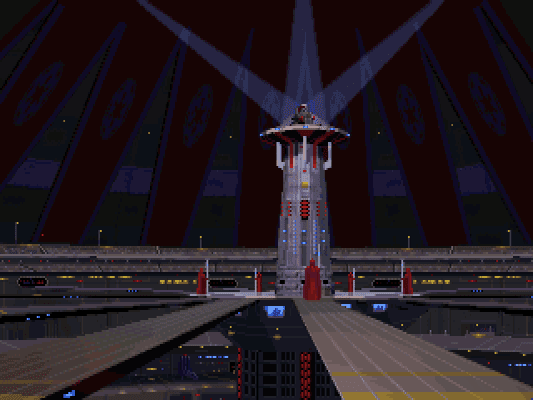 My favorite thing: interior decorating could also be done on your space ship. You could fly your luxury space yacht to the scene of a battle, park at a safe distance, and drink brandy from the lounge area as a space ballet unfolded before you. Interior decorating was so popular that many of the servers had player-run decorating competitions. To put it into perspective, WoW doesn’t even let you own a house. In the majority of games where you can own a house, you can't decorate them in the slightest. All of this stuff with crafting, starships, houses, and consumable items was thanks to the player base. In fact, the economy would not work without players who were making the items to be used by the other players. This game featured an almost entirely player-run economy, with all the ups and downs that you see in reality. There were genuine feelings of frustration and loss when one of the more well-known weapon manufacturers decided to call it quits. 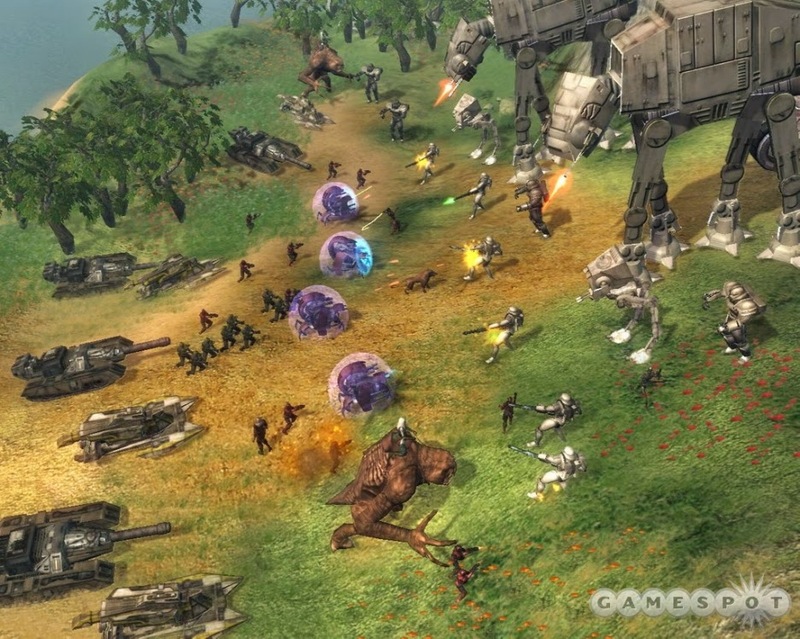 Player-driven economies in games are very highly regarded, and it can be easy to see why. Each person can get a custom-made item that is actually good. Maybe you don’t want to spend 5 hours raiding for one item that the other 5 people in your party also want. Instead, go buy a custom rifle from an artisan weapon smith that only uses the best materials and methods. It’s true that the game had issues. There was server lag, problems with mobs teleporting, and sometimes the quests wouldn’t spawn correctly - all to be found in every game. 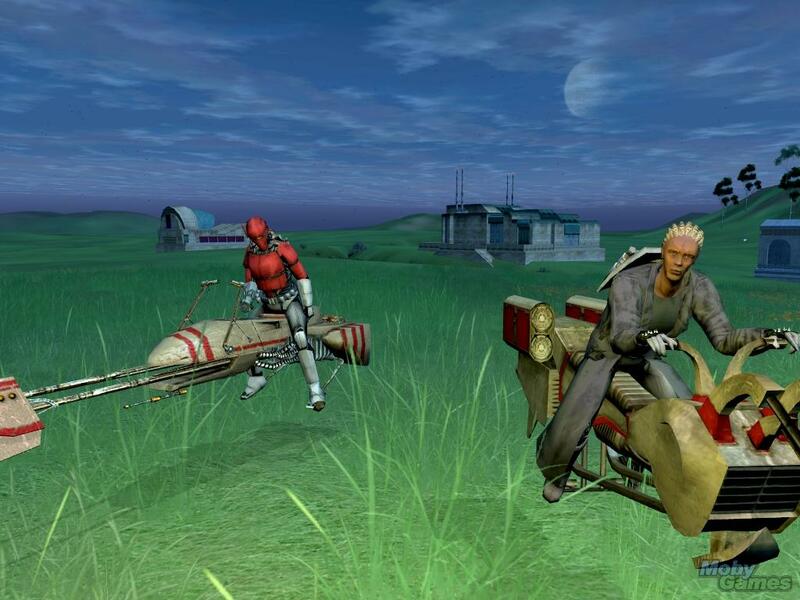 Not to mention, there were players that ruined the immersion of the game by doing all sorts of bizarre things. Some things were mundane, like naming themselves “Jewbacca,” or “Furry Face" as a wookiee, but others were less so… there were some seriously awful names. 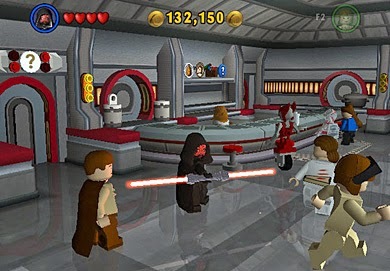 Despite these things, if you want a game that gives you the best Star Wars experience, this one is easily the best choice. 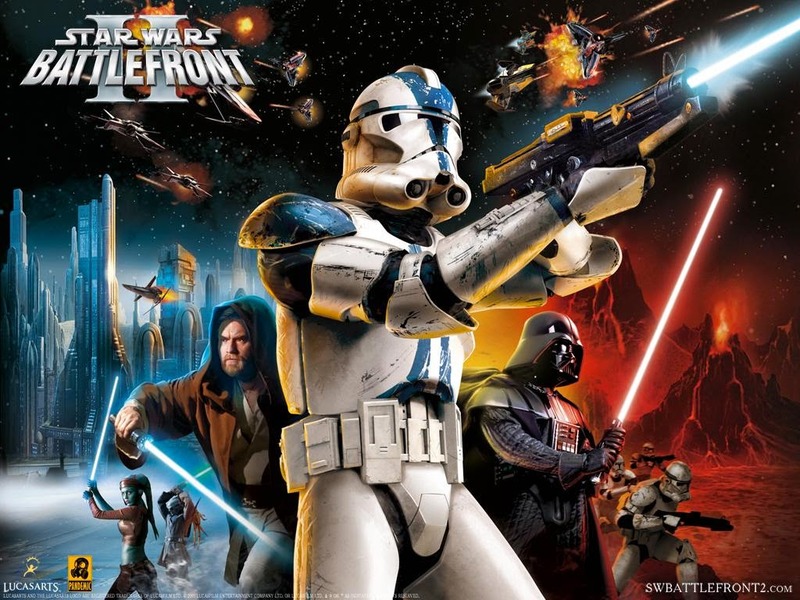 Truly, this game is as close to you can get to actually playing/living in the Star Wars universe without having to resort to the pen and paper RPG. Indeed, the game was so good at giving this experience that it persists to this day, despite being officially shut down in 2011. There are a few groups that are currently building their own clones of this game, keeping the dream alive. It’s really remarkable what work that has been put into making this emulation of the game a real thing, and it goes to show notable and remarkable this game truly was. 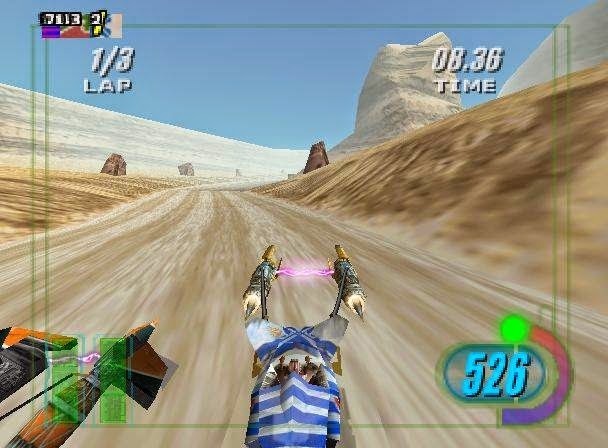 For a similar gaming experience: There really isn’t a game that will scratch this itch in existence anymore, Star Wars related or otherwise. 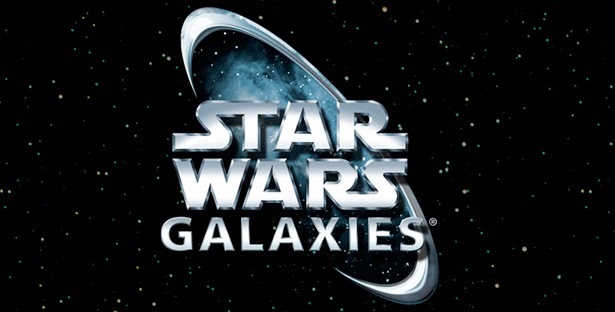 I’ve spent a LOT of time looking, and I haven’t been able to find anything even close, but SOE says their next MMO is for SWG fans... let's see what they come up with! That's it for this list, I hope you enjoyed it! I'll be going back to "single issues" for my next article, stay tuned. As always, comments are welcome! 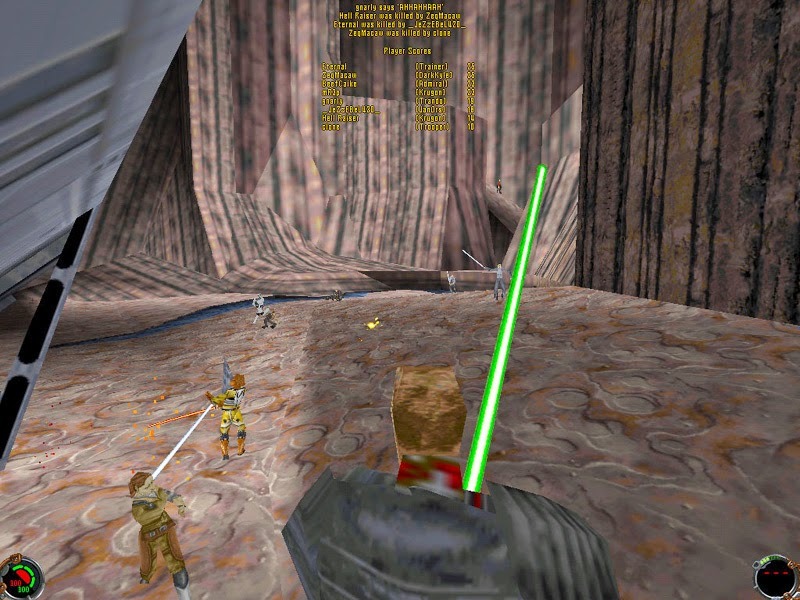 Returning to the roots of the Star Wars franchise, Knights of the Old Republic gave players a unique story in an era previously unknown to the franchise. 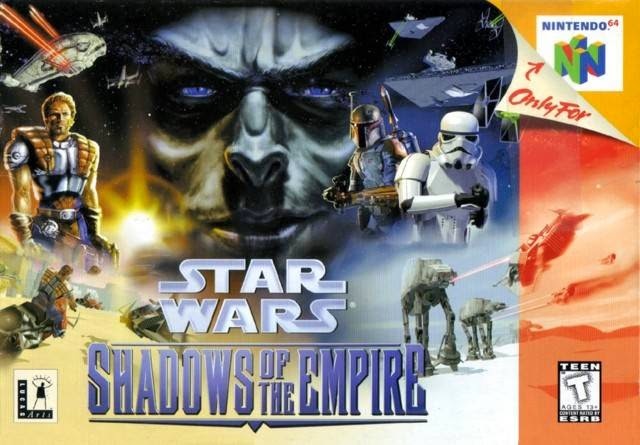 If a Star Wars adventure RPG is what you’re looking for, this is the best of them all. 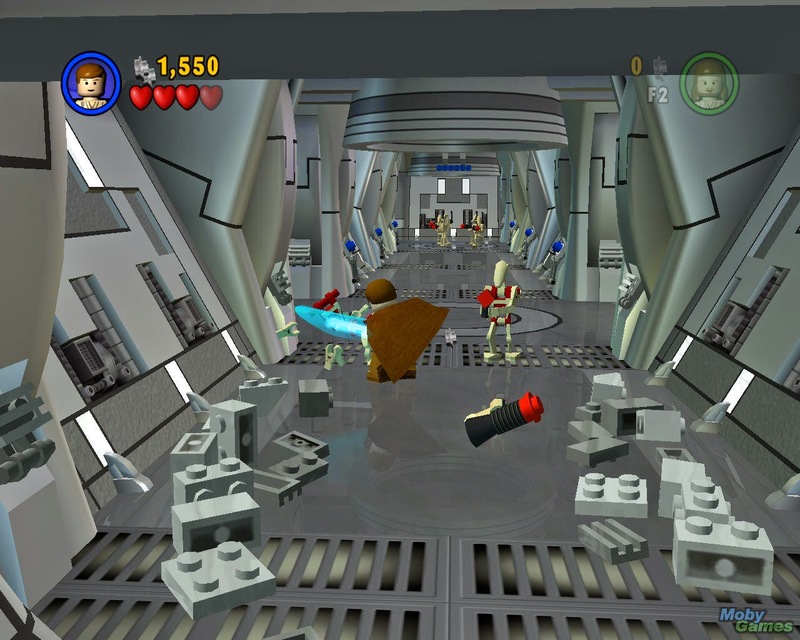 Finally giving Star Wars gamers something original, this game set a very high standard for future games. 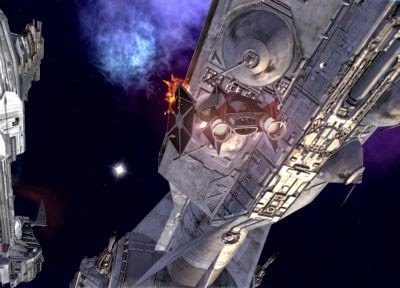 When you put both of these games together, an epic tale is told where the fate of the galaxy hangs in the balance. 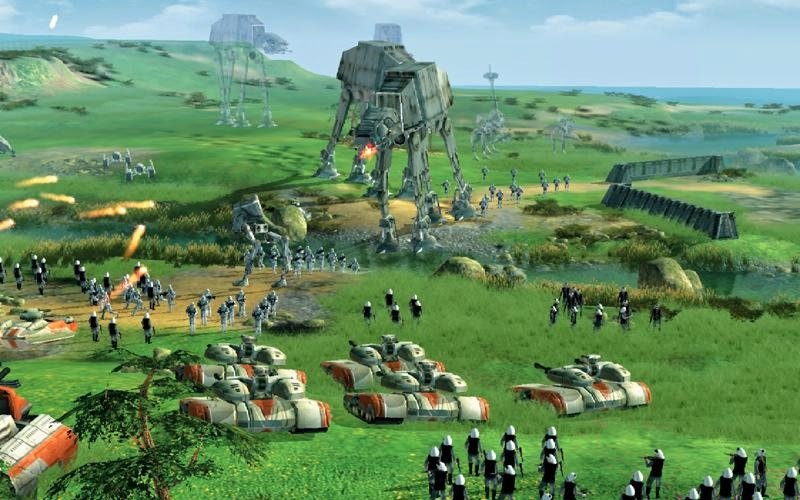 Similar to the original movie trilogy, these games tell a story that takes us through both sides of the conflict. Again the conflict is between an empire and a republic, but this time we’re introduced to new worlds, new characters, and new stories. What makes this game even more special is that much of the story is done with spoken dialogue. One thing that truly sets this game apart is the fleshing out of worlds that had, previously, never been visited. 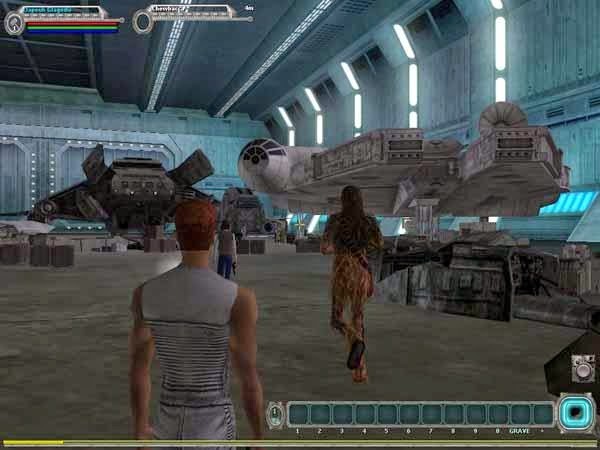 Before this game’s release, we had never been to Dantooine to see the “rebel base” to which they referred in Episode IV. We were also introduced to a more intimate look at who the Sith are and what they really stand for. 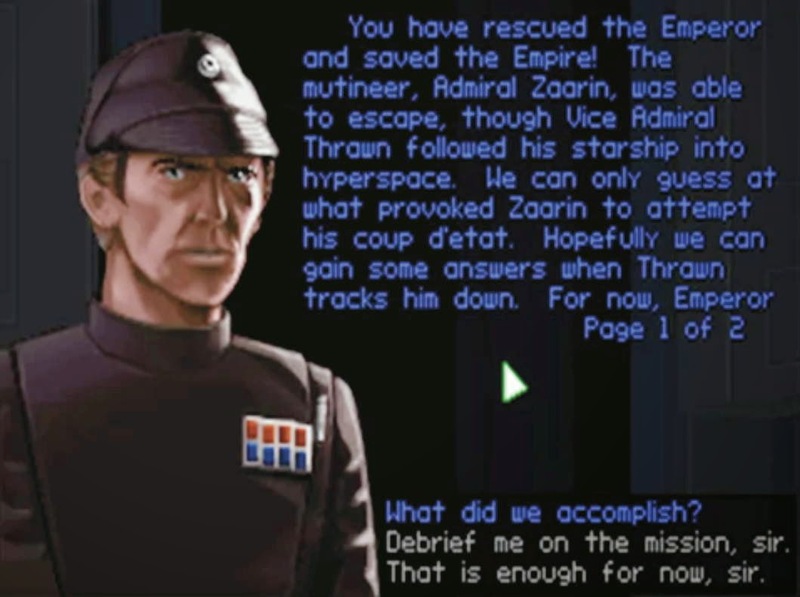 In KOTOR, we get to see one of the most popular Star Wars characters who ends up being significantly misunderstood for the vast majority of the game – it sets up an excellent twist. There was character customization in a time where this hadn’t really become a staple. These kinds of details set the stage for a very impressive and immersive adventure experience. Influence from this game can be found in many others that followed. 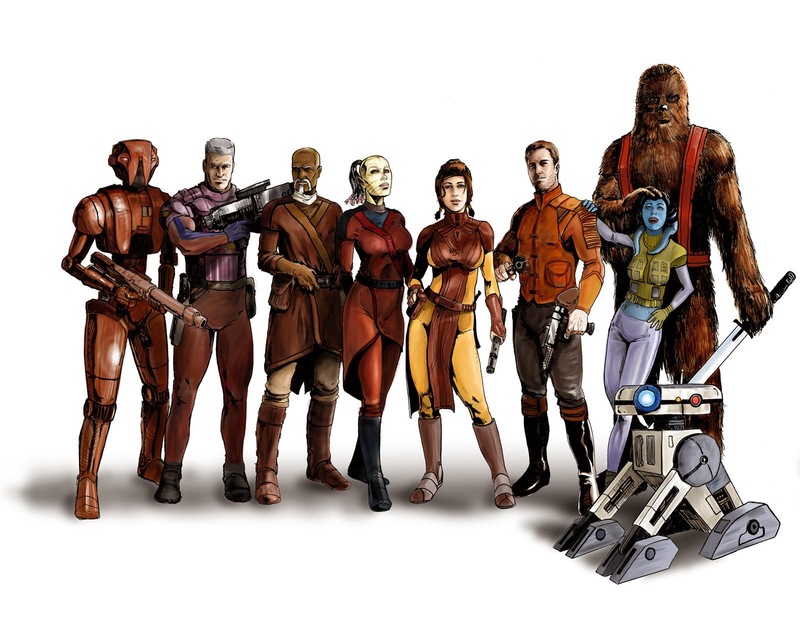 The KOTOR franchise also gave us a much more intimate look at the Force and the organization of the Jedi/Sith Order. 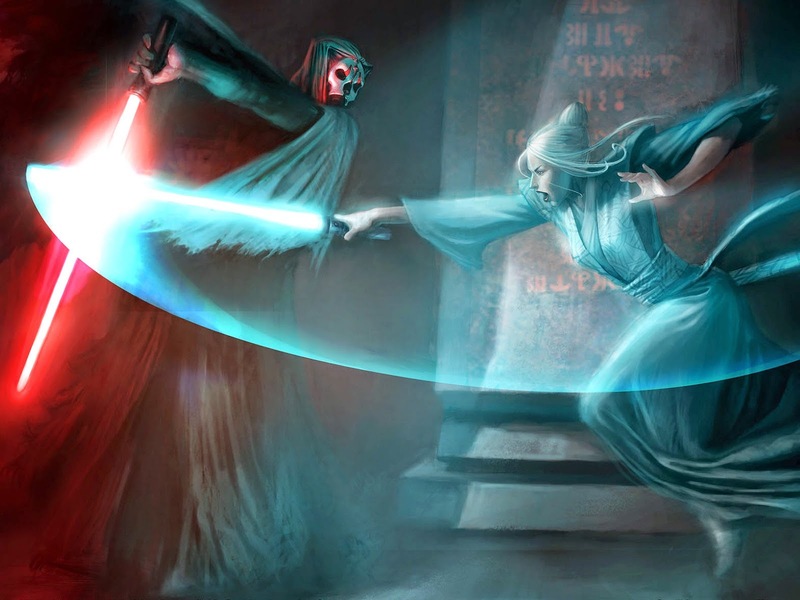 Things like Jedi Consular and Jedi Guardian didn’t really exist prior to this game, but they have become a standard in Star Wars games and stories. 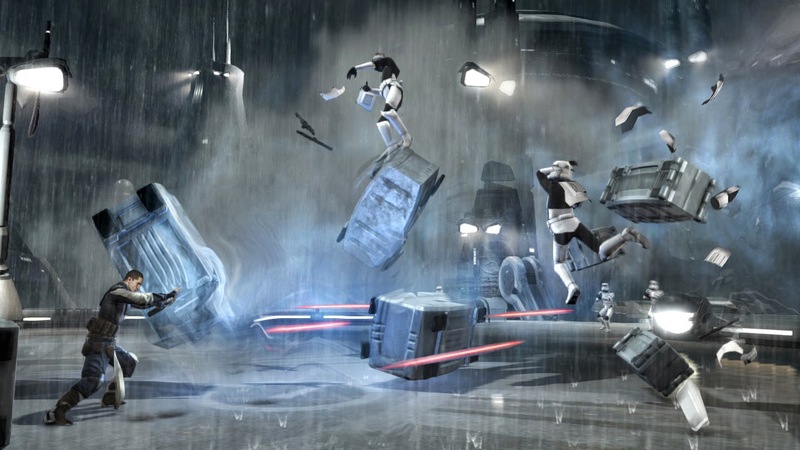 In the second installment, we were introduced to lightsaber combat in a way that was unheard of. Now there are formal styles, like any martial art. This gave more depth to characters that were on the verge of becoming stale. 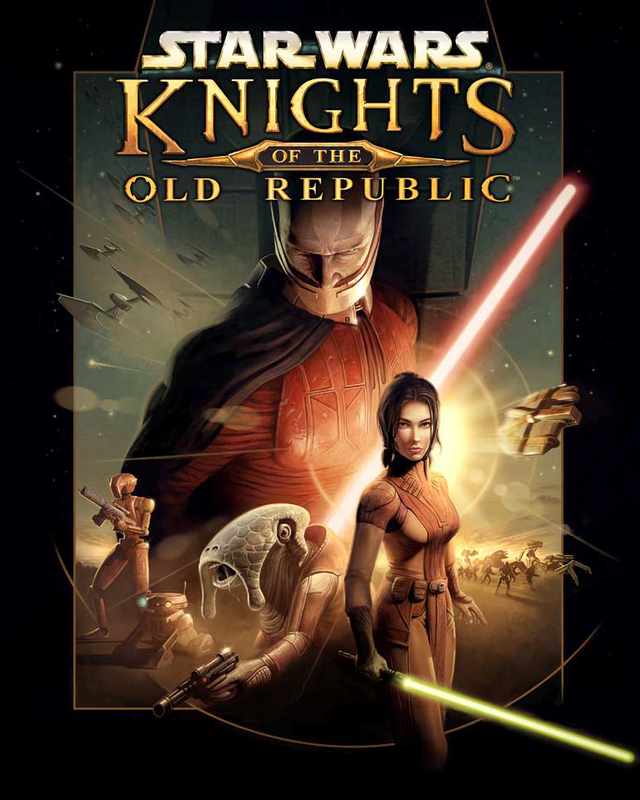 I’m one of the few people who will tell you that KOTOR II is better than KOTOR I. 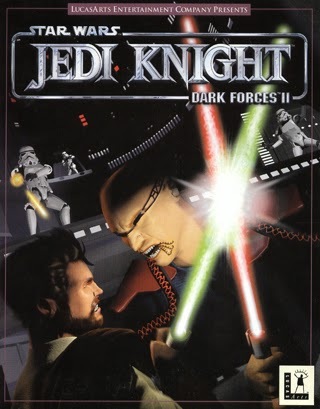 This game was the first to really expand the understanding of the force. More importantly, we weren’t given obvious choices which was good and which was evil. On the one hand, you have a decision that seems right, but ultimately results in something that is almost universally considered negative. The decision making has consequences. As gaming ages, there seems to be fewer and fewer games that truly do give the players consequences. 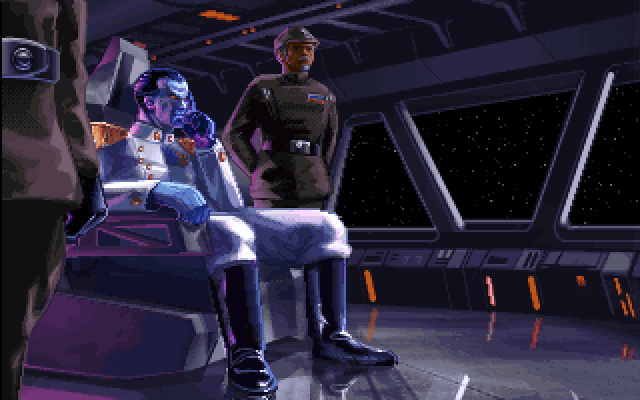 In KOTOR II, we’re introduced to decisions that question the abstract… maybe Sith lords aren’t actually evil. Maybe a Sith Lord is someone who uses the Force to advance their own agenda, not just to do evil acts. I picture a Sith Lord could be someone who exerts his power to manipulate a situation the way he wants, not only to cause misery. 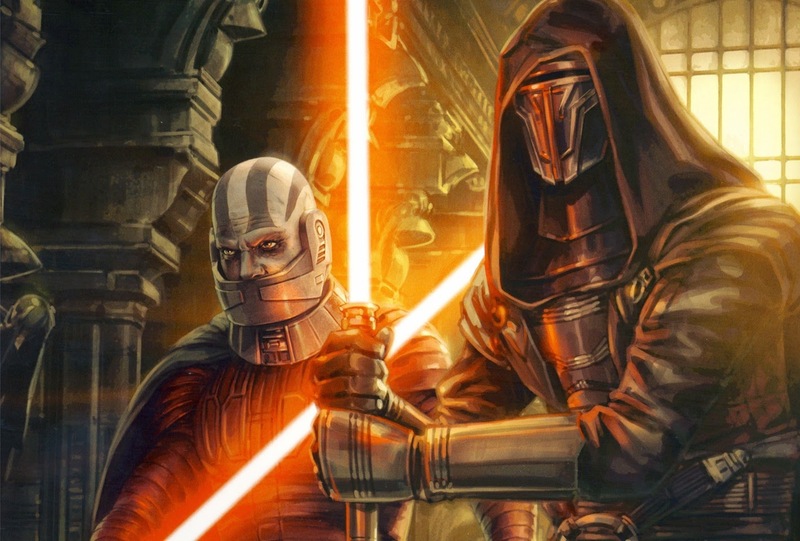 Maybe a Sith Lord is someone for whom the means are just a way to an end? 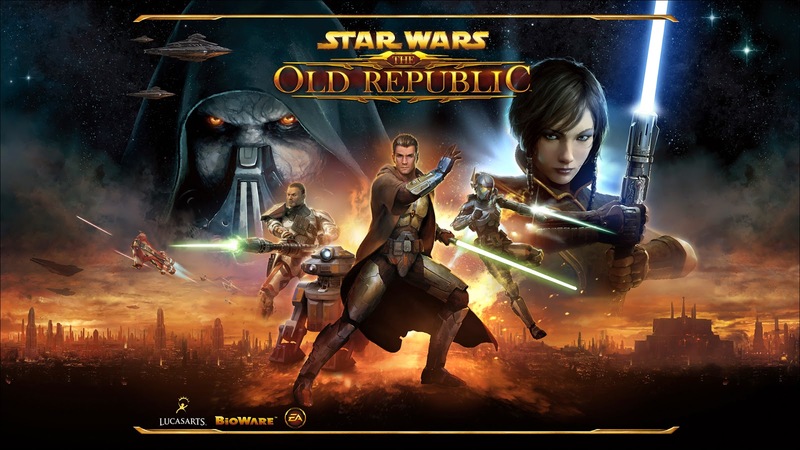 For a similar gaming experience: Look at “The Old Republic” - a spiritual successor to this franchise. 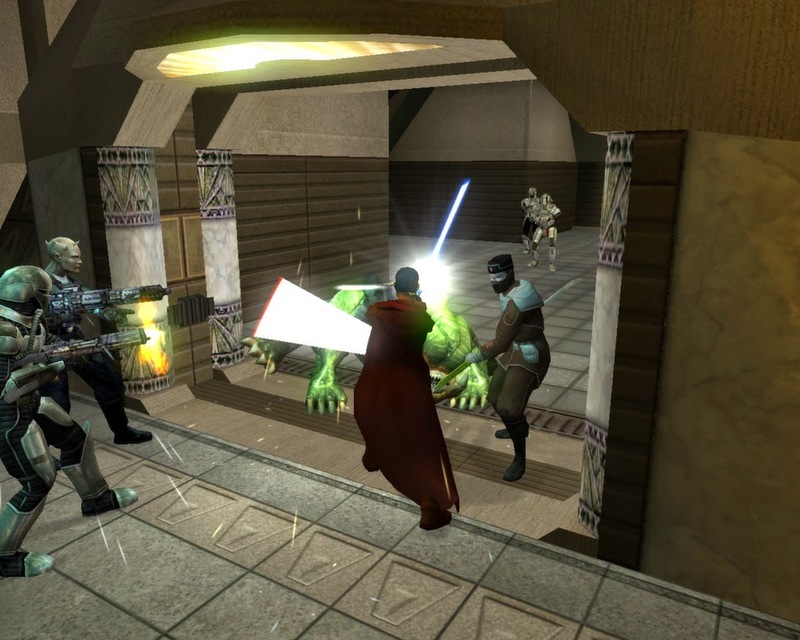 It’s an MMO set a few hundred years later, and has many of the same gameplay features that made the KOTOR franchise so great.